It's almost our favorite food holiday, THANKSGIVING, and the markets are abundant with all of the ingredients you need for a delicious meal. Check our Global Thanksgiving Recipe Packet to start planning your meal. We will have some schedule changes to accommodate shopping schedules, see below. And don't forget your Greenmarket turkey! *Market days with an asterisk mean it's a special market, rescheduled to Tuesday or Wednesday, normally held on a Thursday or Friday, so that customers have an opportunity to shop for Thanksgiving ingredients. Compost and textile collections are the same for regular and rescheduled markets, unless otherwise noted. All Greenmarkets, Youthmarkets, and Fresh Food Box locations closed. No clothing or food scrap collections. All Fresh Food Box locations closed. Thanksgiving is just around the corner—November 22nd, to be exact—and turkey orders are already filling fast! 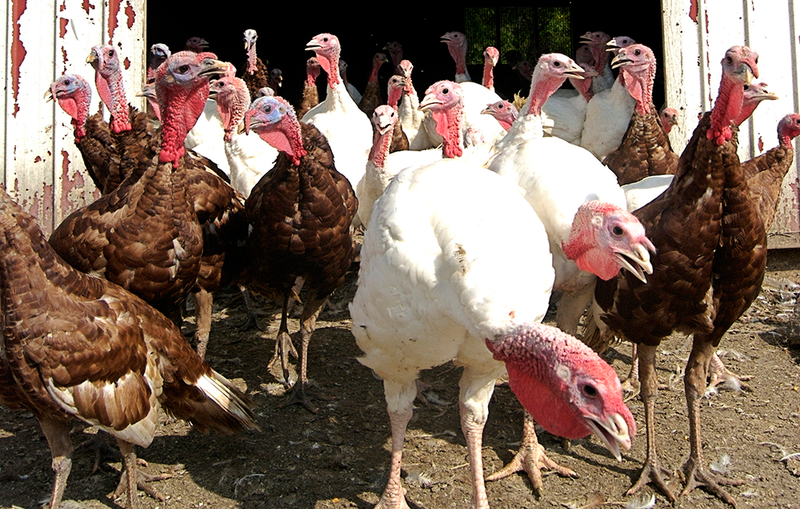 Find out below what local farms are bringing pasture-raised Thanksgiving turkeys to your neighborhood Greenmarket. You can also find the freshest side dish ingredients such as Brussels sprouts, carrots, fennel, winter squash, potatoes, apples, pears, herbs, honey, maple syrup, pre-made pies, butter, and cream. In addition to those items, don't forget craft beverages -- we have beer, spirits, and hard cider made from 100% locally-grown ingredients, as well as pickles and condiments for your leftover turkey sandwiches, and much more. It's almost our favorite food holiday, THANKSGIVING, and the markets are abundant with all of the ingredients you need for a delicious meal. We will have some schedule changes to accomodate shopping schedules, see below. *Market days with an asterisk mean it's a special market, rescheduled to Tuesday or Wednesday, normally held on a Thursday or Friday, so that customers have an opportunity to shop for Thanksgiving ingredients. Textile & food scrap collections closed at rescheduled markets. Wednesday 11/26: Please shop early; markets may close early due to the inclement weather. 97th Street open *Wednesday 8am-2pm. Compost & textile collection cancelled. Astoria open 8am-3pm. Last day for the season. Bowling Green Greenmarket: open *Wednesday 8am-5pm. Bartel Pritchard Square - Closed due to inclement weather. Bowling Green open *Wednesday 8am-5pm. Compost & textile collection cancelled. City Hall Park Open *Wednesday 8am-4pm. Dag Hammarskjold Plaza open 8am-4pm, compost & textile collection 8am-3pm. Grand Army Plaza Open *Wednesday 8am-4pm. Compost & textile collection cancelled. Mount Sinai open 8am-5pm, compost & textile collection 8am-2pm. Last day for the season. NY Botanical Garden open 9am-3pm. Last day for the season. Tribeca open 8am-3pm, compost & textile collection 8am-1pm. Tucker Square: Open *Wednesday 8am-5pm. Union Square Wednesday open 8am-6pm, food scrap collection 8am-5pm. All Greenmarkets closed. No textile or food scrap collection. Not only does our staff love working out at markets—even as it starts to get cold, over 20 will remain open until Christmas, or year-round—we love shopping at them for the same reason you do: we’re avid home cooks. See our staff picks for favorite items to buy at the market to celebrate Thanksgiving, and reference the annual Greenmarket Turkey Guide to find out where to place an order for your bird. Thanksgiving is just around the corner—November 28th, to be exact—and turkey orders are already filling fast! Find out below what local farms are bringing pasture-raised Thanksgiving turkeys to your neighborhood Greenmarket. Where and when to pick up: Greenpoint/McCarren Park Greenmarket and Grand Army Plaza Greenmarket Saturday, Nov 23rd, Union Square Greenmarket Wednesday, Nov 27th. ‡ For ordering only; orders at Dag Hammarskjold Plaza will be delivered to Union Square Wednesday Nov 27 unless otherwise requested. Where and when to pick up: Union Square Greenmarket on Wednesday, Nov 27th. 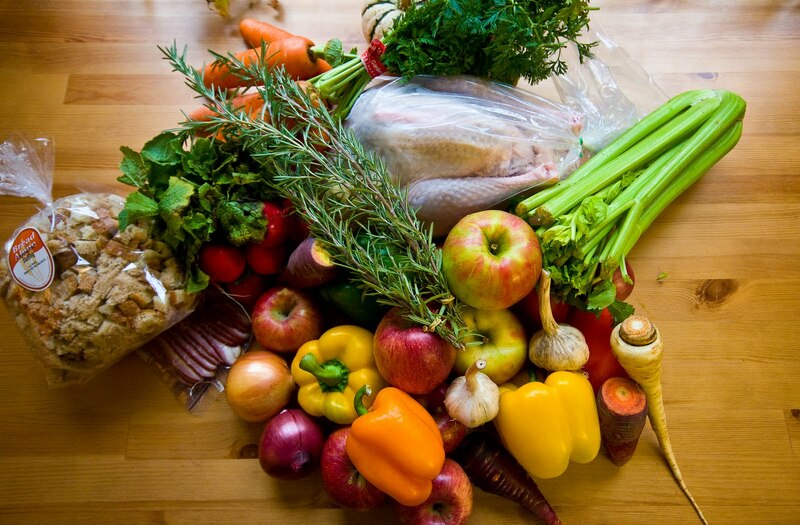 Where and when to pick up: Union Square Greenmarket on Wednesday, Nov 27th (by noon). Where and when to pick up: Tompkins Square Greenmarket on Sunday, Nov 24th or Union Square Greenmarket on Monday, Nov 25th or Wednesday, Nov 27th. Where and when to pick up: Union Square Greenmarket on Monday, Nov 25th or Wednesday, Nov 27th. Where and when to pick up: Columbia University Greenmarket Sunday, Nov 24th or Tuesday, Nov 26th, 92nd Street Greenmarket Sunday, Nov 23rd, or Tompkins Square Greenmarket Sunday, Nov 23rd. Where and when to pick up: Union Square Greenmarket on Saturday, Nov 23rd or Wednesday, Nov 27th. Thanksgiving is just around the corner—November 27th, to be exact—and turkey orders are already filling fast! 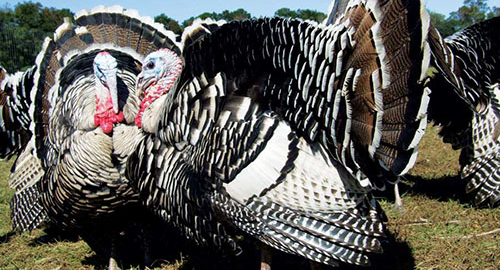 Find out below what local farms are bringing pasture-raised Thanksgiving turkeys to your neighborhood Greenmarket. Where to order and pick up: At the Greenmarket locations below or by preordering at dipaolaturkey@gmail.com. Details on ordering via email here. Breed: Great White; Certified Organic. Greenmarket’s 2012 Holiday Recipe Packet – delicious market-inspired recipes for your holiday table. Your guide to locally-raised Thanksgiving gobblers – which Greenmarkets to place an order, buy, and pick up your Thanksgiving bird.